I've been hooked on this since I first tried it. The primer goes on easily and really works at evening out my skin before I apply my foundation and powder. I won't be skipping this product anytime soon! I'm happy with this product. I'm always looking for my next SPF product to try. Changed my life. My face always looked shiny before the end of the day and I could never do an all day look until I was introduced to this product. From 6 am to 11 pm, this rocks! This takes away all of the oil that sets in late in the day. Got this in a kit and it really helped with shine control. I used it under my mineral foundation or just concealer if I was in a hurry. I used it pretty quickly though, not sure if I could’ve made it last 90 days as it says on the website. Still love this product though and will invest in more soon! This primer is great and takes away the oily look of your skin. 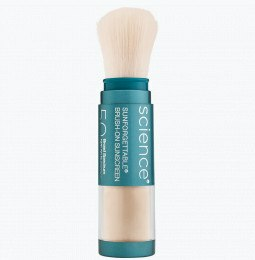 A must as a light make or before foundation application, either way you can't go wrong. I love the way my skin looks with this, I still get oily around my nose after a while. But I love how it feels. I can't wear any foundations and this gives me a little something extra to get my oily acne prone skin in check! I use the matifying primer and sunscreen brush the most! 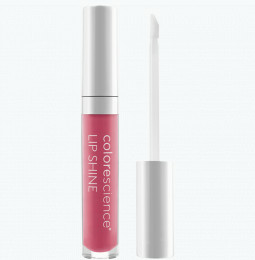 Those two are my top buys from colorscience. 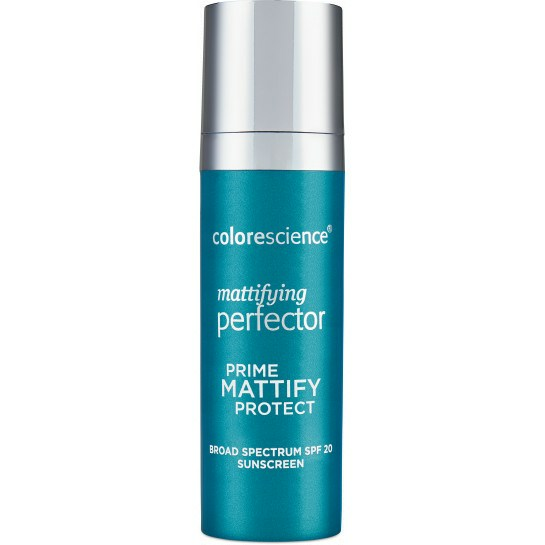 The matifying primer gives me a little bit of base color while keeping my skin from getting so shiny during the day. I absolutely LOVE this product! It’s a necessity for me! I could not live without this primer! I love how it controls and keeps my face from being shiny. WILL NOT GO WITHOUT THIS! Minimizes pores. Smooths complexion. Matte finish. This sets my foundation for the entire day! I have just started using this product and I absolutely love it and how it makes my skin feel. 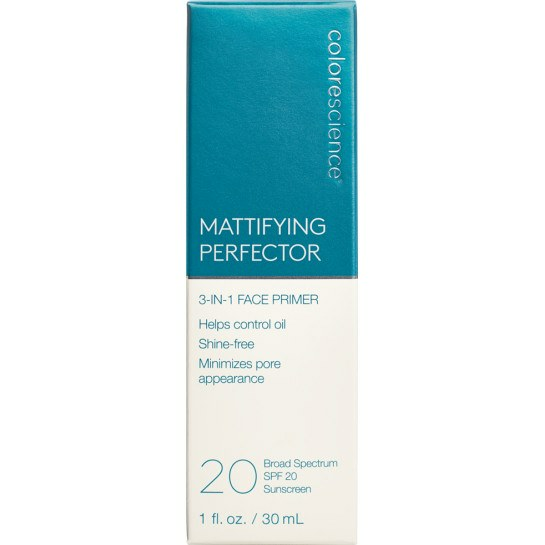 I love the saliclyic acid in this perfector! It keeps my chin and forehead clear of breakouts! It really does a great job of being an all day oil blocker too! Nice smell too! I love how this product covers up the pores and keeps my skin shine free all day! I have constant oily skin and this product is perfect! I put it on before my makeup and I have a mattified look all day! Love it! It's like a light makeup on days you don't want to wear any makeup while it protects you at the same time! Love! I absolutely love my mattifying primer!!! I've been using this product for over a month and just purchased another bottle of it. It is AMAZING. After a month, it still feels fresh on my face but helps keeps my skin clear as well! Love the included ingredient of salicylic acid. A lot of my previous skin care products would work for the first or second week then my skin would rebel and the product would go in the trash; but this primer has kept me clear and non-shiny! I am truly a satisfied customer! I love this primer! I have tried many matte primers and I always have a problem with them drying out my skin too much, yet if I don't use a matte primer I get too shiny. Then I found this. I was skeptical because it looks dry when you first pump it out BUT it goes on so soft and smooth without pulling or tugging on the skin AND it leaves your skin feeling great (not dry at all). It works all day for me, I recommend it highly. I have used this primer for 3 days now, and I'm absolutely in love with it! It is so smooth and silky and keeps my skin from feeling greasy during the day. I really like the fragrance, it's fresh and clean and not too over powering for me. Thanks for another amazing product colorescience! I knew I loved this from the very start. It feels so nice on your skin. This is an excellent base to foundation! It's not heavy or oily like regular sunscreen. I used this product for my wedding day and I had flawless skin, no visible pores, it went on smoothly and worked great under powder. This is my #1 favorite primer out of all the primers out there. I love that it has SPF! 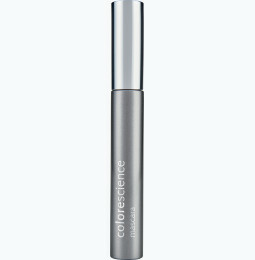 Colorescience is 10 steps above the rest of the world when it comes to skin care and skin protection. Love how this product controls oil. Feels like silk, and leaves your face shine free for hours!!!!! Leaves a nice light finish before I use my foundation. Keeps my oil & acne under control! I was recommended Colorescience about two years ago from my dermatologist (I was 18 at the time,so I had a lot of acne issues) and it has definitely helped with my recovery. I was given antibiotics to help with the acne but once I began using other makeup, the acne would flare up. I saw a significant improvement when I began using this primer and it kept my oils under control (my t-zone is pretty oily!). I highly recommend this primer! I absolutely love this primer. It's the best primer I've ever used. I make sure I always buy 2 at a time so I won't run out. This primer reduces the appearance of break outs and keeps it from shining during the day. I'm so glad I tried it years ago when I lived in San Diego. I can't live without it now. Keeps my makeup in place all day...and no breakouts! I have been using this primer for 1.5 months and my skin has never been better. 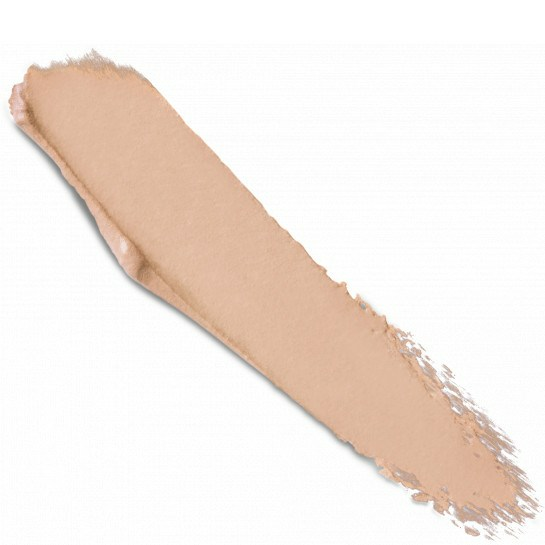 I love that it evens out my skin tone and is a great base for my loose foundation. 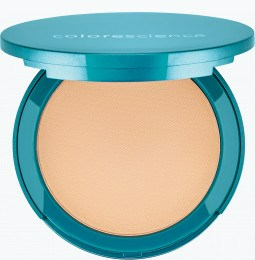 Colorescience is the first brand I have used that does not make me break out and that is a big plus! I love this primer. I look forward to trying the bronzing one for summer. The only reason I didn't give it 5 stars is because the scent is a bit strong. I have become sensitive over time to fragrances. Otherwise, it is the best primer I've used. I have never used anything better than this primer for a makeup base. It diminishes shine, and reduced the look of my pores better than any other product I've tried. It's been amazing!